What is it about a movie that makes it change your perspective? Take Groundhog Day for example. It’s not exactly an ordinary day. A lot of people & TV networks flock to a sleepy little town in the middle of my home state of Pennsylvania to find out what the future weather forecast will be from groundhog. An animal my grandfather called a rodent and he was constantly trying to stop them from destroying his garden. Then in the 90s, a movie, starring Bill Murray, changed this little holiday into a cult classic. So much so it put attending the Groundhog Day ceremonies on my bucket list. Even though a number of my friends have told me it’s not that great of a time. No matter I’m determined. 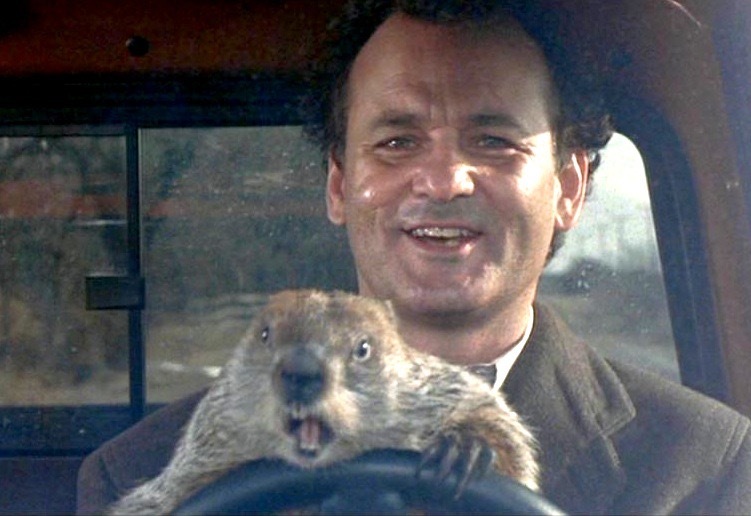 Other than Groundhog Day being one of Bill Murray’s best movies. It relates to everyone trying to find their way in this world. A lot people, myself included, either felt or used to feel like if they only drove this car, had these clothes, went to this school, or had that amount of money then they’d get the girl/guy, the job, or funding they needed to be happy. In Groundhog Day, Bill Murray’s character is trapped in Pittsburgh as a local weather reporter who’s stuck going back to Punxsutawney to cover the Groundhog Day celebration. He feels like it’s a task below him and he’s hoping that he’ll soon be moving on from this mid-market local station to some where bigger like New York or Chicago. Bill Murray’s character doesn’t realize that he already has everything he wants right in front of him. How many of us are the same way? Figure what you want and before you think about what you need to get the things you want. Think about what’s already in front of you and if you don’t already have what you seek. * Written on my iPhone 5’s WordPress app.